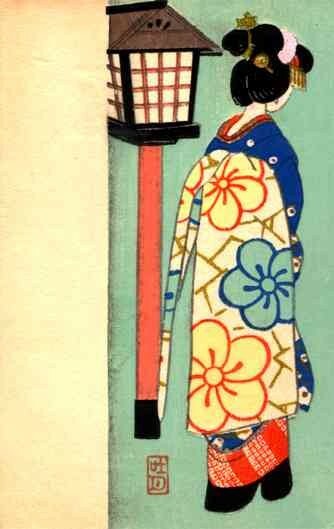 Japanese Girl by Lantern Woodblock Print | VintagePostcards.com: vintage, old, antique postcards for collectors. The girl by the lantern. Artist signed. The girl by the lantern. Artist signed. Kimono.